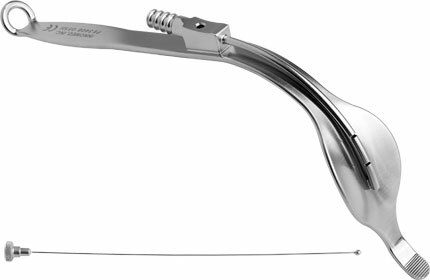 Designed for use as a posterior inferior or anterior inferior retractor during minimally invasive hip procedures, the retractor features a suction tube located on the anterior portion of the retractor. 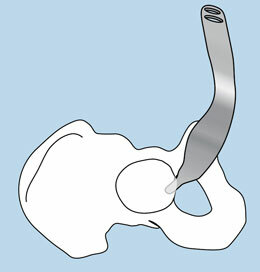 The suction tube includes two additional holes along the shaft for suction of smoke out of the wound, while the distal tip allows for removal of blood and debris from the acetabulum. 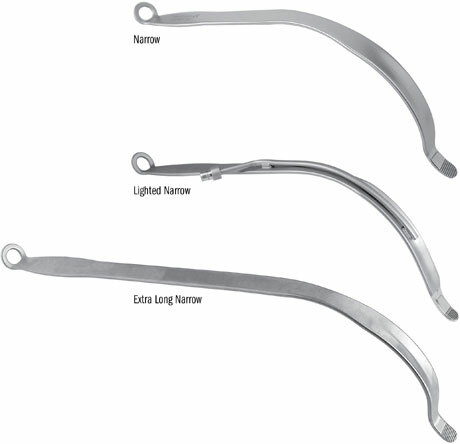 A full 2" (5 cm) longer in the wide cobra blade portion than our standard cobra retractor. 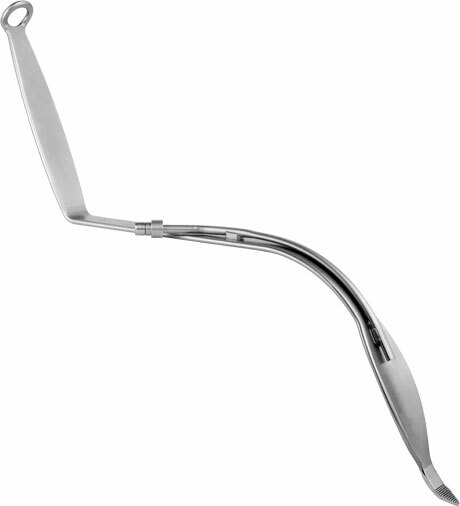 The long handle and obtuse angle provide ergonomic leverage—especially helpful for use with obese patients. 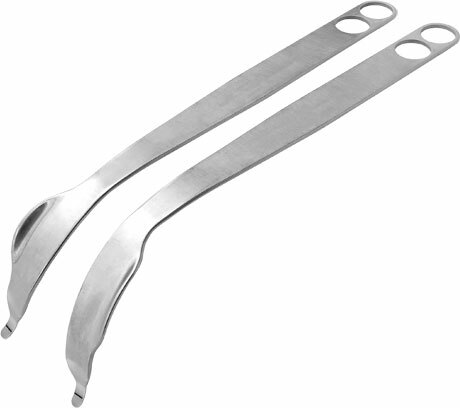 In total hip surgery, the wide, concave blade design allows for enhanced exposure— especially useful in anterior hip surgery with the placement of reamers, and to elevate and expose the proximal femur. 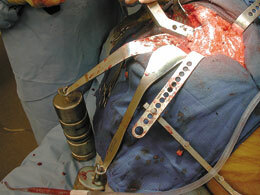 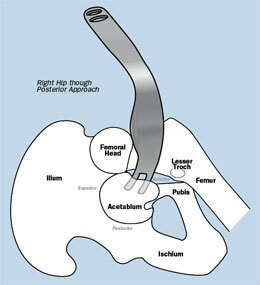 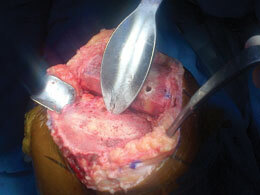 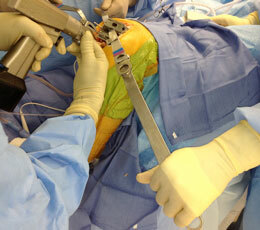 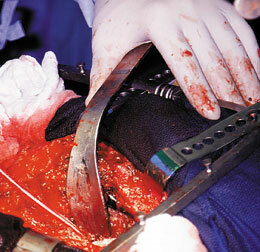 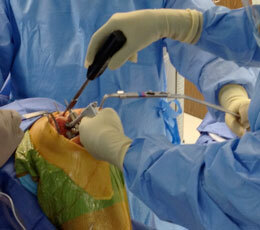 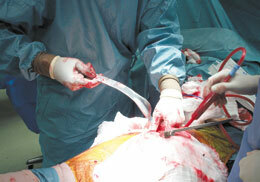 In total knee surgery, the wide blade of the large retractor spans the prepared box and helps bring the tibia forward. 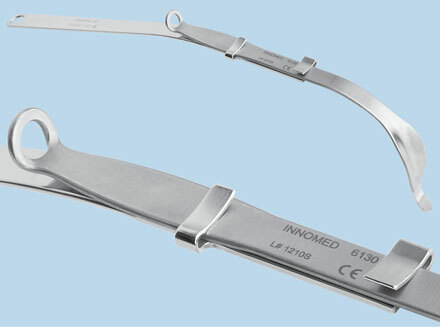 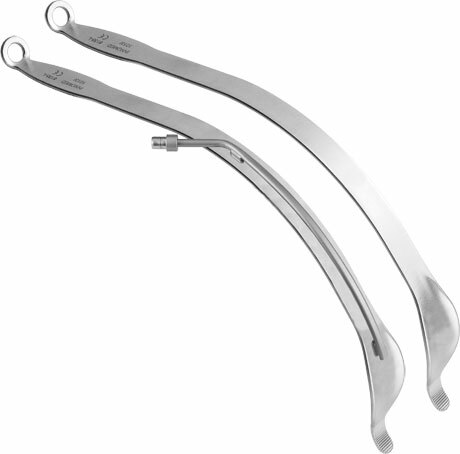 The small retractor helps with retraction of the medial and lateral structures, where the wide, concave blade provides added exposure over standard bent Hohmann retractors. 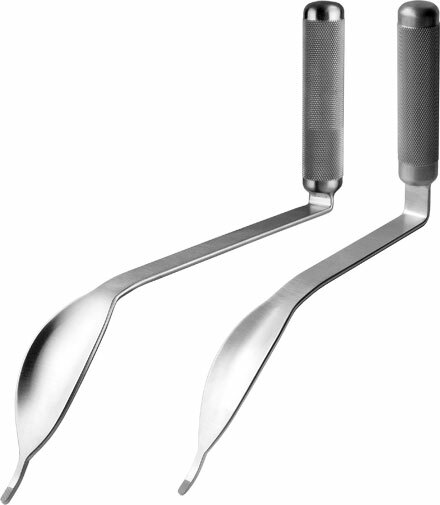 The serrated tip helps improve stability. 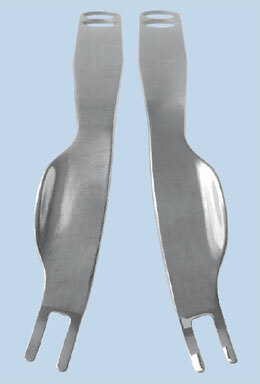 Can be attached to a fiber optic light cable with ACMI (female) connector. 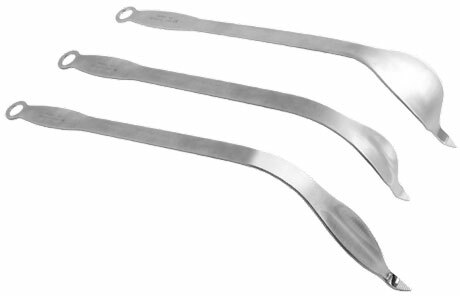 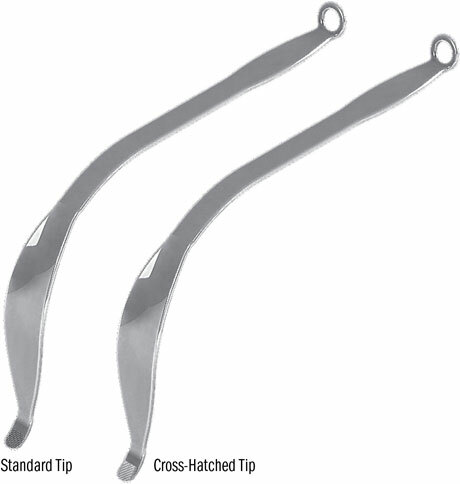 Retractors can be steam sterilized. 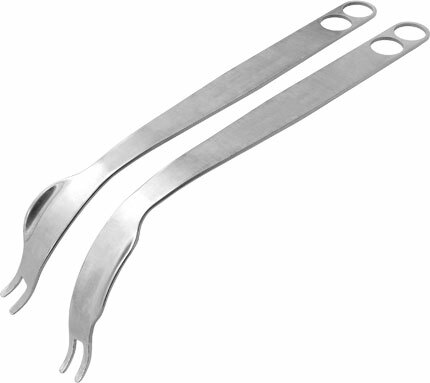 Extender fits most retractors, providing additional retraction leverage.